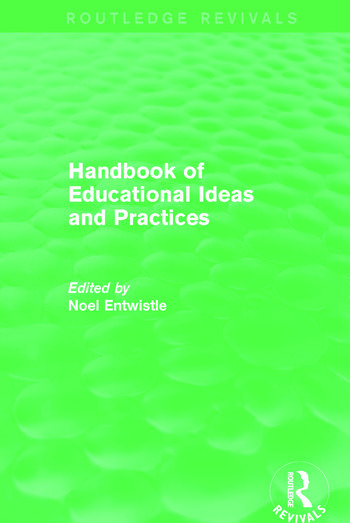 First published in 1990, the Handbook of Educational Ideas and Practices was written for practitioners and students in the field of education and its related services and was designed to appeal to educationists no matter what their nationality. Focusing mainly on compulsory schooling, it provides summaries of the thinking, research findings, and innovatory practices current at the time. However, the book is also careful to present a complete picture of education and therefore includes a separate section for education beyond school which covers pre-school level, post-secondary level, and adult and continuing education. There are also other chapters dealing with aspects of organization, curriculum, and teaching in various forms of tertiary education. Indeed, each topic has been discussed by an acknowledged expert writing in sufficient detail in order to resist trivialization.